"Record your calls with this great app"
Installation requirements: A minimum of 7,5M of free memory space and Android 2.3 or higher. Rating: The TOP 5 Most popular Apps in Call Recorders category. Ranking: The TOP 5 Most downloaded applications in Call Recorders category. 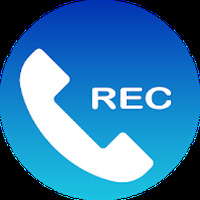 Do you like Call Recorder? Prank call your friends for fun! Record your voice and play it back backwards!